I moved back to the homestead about two years ago where I am able to raise the Silkies. Did the condo life for many years and begun to realize that it was not my way of life. Once back home here in central Missouri and between jobs I found reputable breeders searching the Internet who offered hatching eggs . I have been buying hatching eggs for a several years now and added many more color varieties and bloodlines. Thus, spinning me into not just having Silkies for pure enjoyment and pets but actually raising them and having a quality breeding program. Still enjoying them and making each and every one a pet has not changed. I find them most amusing to watch roam around the property and lawn, eating grass and insects. I look back at photos I have from my beginnings of raising the Silkie breed and look at what I have now and I'm very pleased and thrilled because I have some amazing looking birds. Even though I am aiming for all show quality birds and breeders, ones less than perfect to pop up from time to time. Each one is likable in many ways, even though it might not have perfect feet, a huge top knot, correct coloring, or anything else that is not in the ASBC standard of perfection. The ones that are not up to standards, what I call pet quality, are not treated any less than the show quality Silkies I have. Many that I hatch that turn out to be pet quality and the extra roosters I end up with all go to loving homes or farms where they will be well cared for and appreciated for their beauty and personality. I have noticed a lot of the prize winning Silkies now days are so incredibly feathered that it is nearly impossible for them to see or breed naturally. These type of show birds must be kept in a well controlled environment and taught to know where to find their food and water. If either food or water is moved it is possible they will die of starvation or dehydrate because they are blinded by the feathering around their face and eyes. Artificial insemination must be done in order to reproduce from them as well. As pretty as these birds are I do want a bunch of birds that are limited like these birds. I do have a few that are so heavily feathered on the rump that I must trim so contact can be made to produce fertile eggs, also have some that need trimming around the eyes and/or the crest banded out of their face. All of my birds are allowed to free range from time to time, I think it keep them healthy and happy. Along the way I have had some great mentors that I occasionally call on for tips, suggestions and advice. 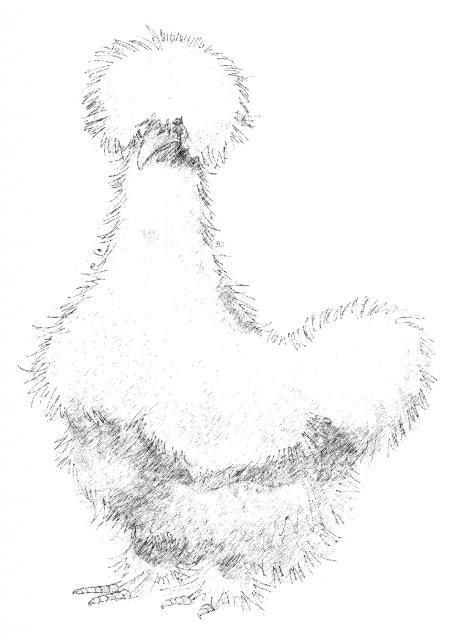 Alan & Bobbi are two great influences and I admire their work in the world of Silkies. In addition to the Silkies I also have Mandarin ducks, Showgirl Silkies, Guinea fowl and the very rare cream Brabanters. Those just mentioned is where the "Stuff" comes in. 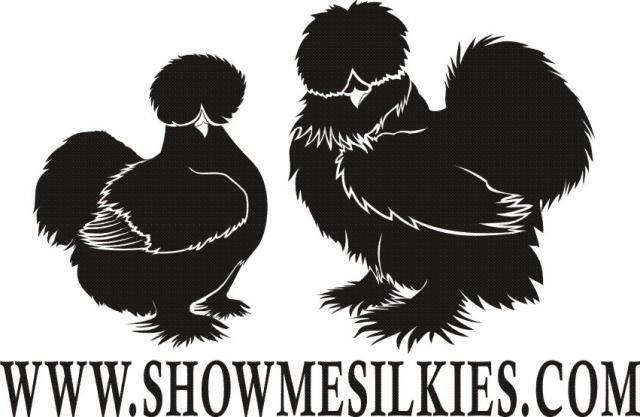 My primary focus is on the Silkies. Always fond of the small Mandarin ducks I decided in the fall of 2008 to buy a trio. I love watching them they are quite the conversation piece when company is here. I just wish they would poop less and be more tame. I also have a few Guinea fowl running amuck. I do use peepers/blinders on them as they are far too aggressive towards my Silkies and I was sick and tired of finding clumps of Silkies' feathers all over the ground. They still do a great job at keeping a hedge of protection over the Silkies that are free range.